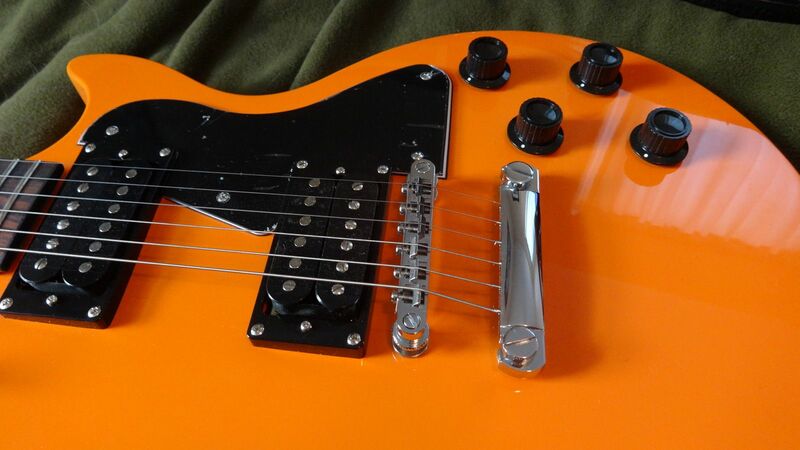 My Orange guitar arrived with a big chip on the bottom thanks to UPS. I took it back to GC and got a refund. I did keep the Tuner,that was the best part. 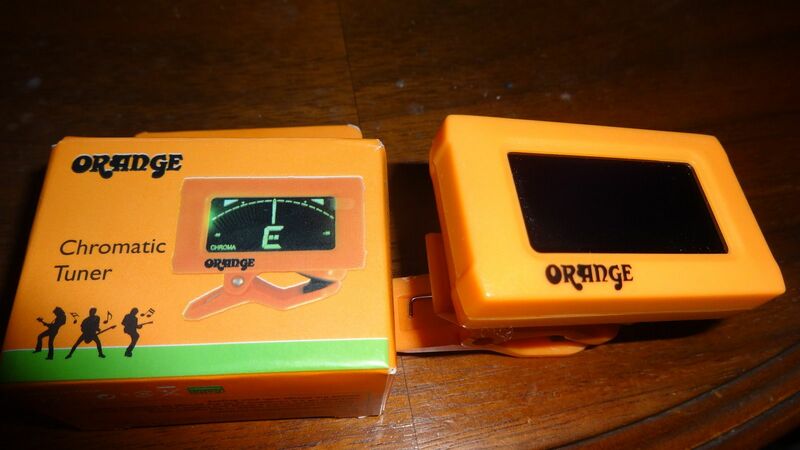 That tuner looks rad with the orange and green! What did you think of the guitar in the short time you had it? Headstock looks cool, if I ever found one cheap enough, white plastics and chrome covers would do wonders for the aesthetics. 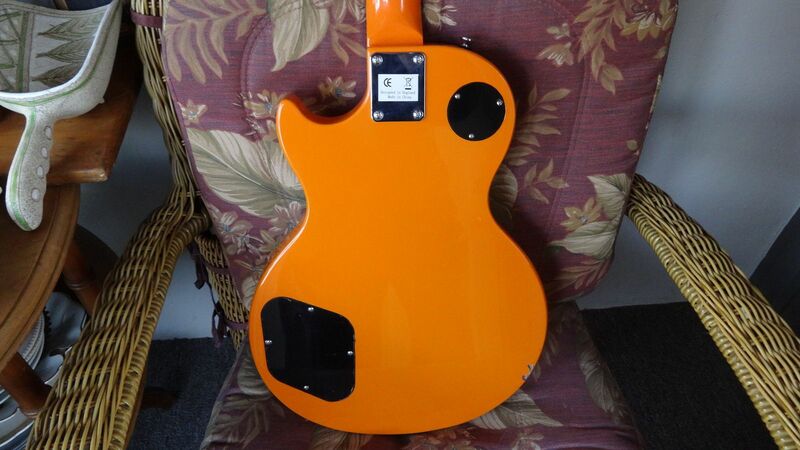 I like it,it played very well, I think Orange did a good job. 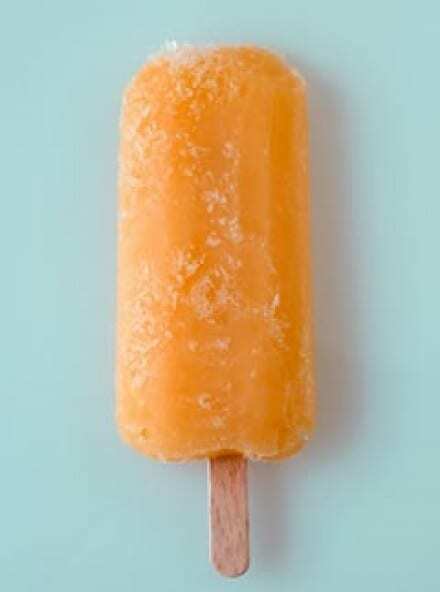 Did you know Orange Maid ice lollies? That chip doesn't look so bad, I would have kept it if I liked it. 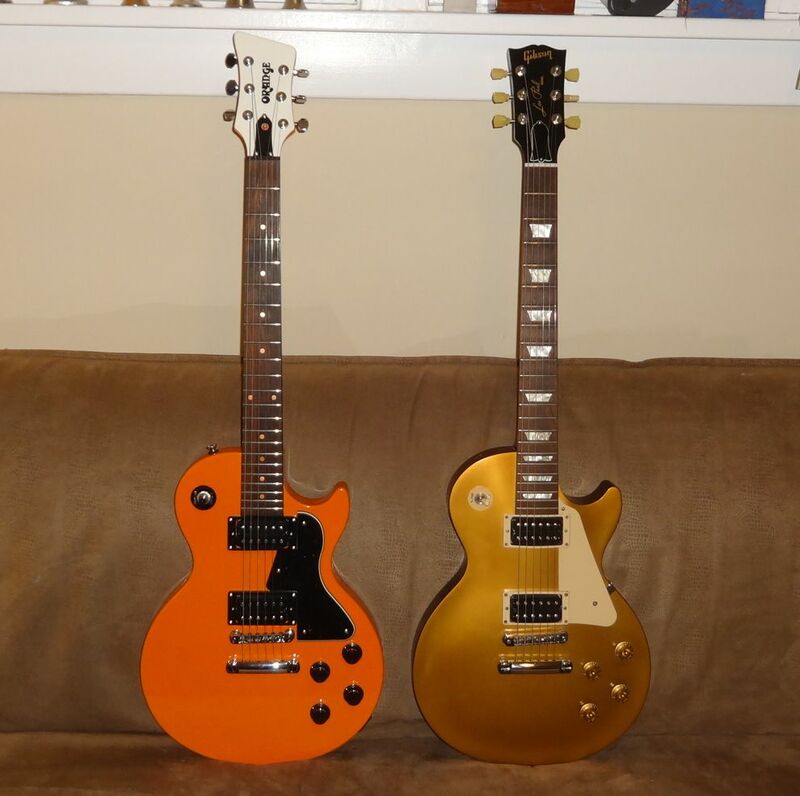 I have guitars with chips like that and I don't care, and I hate relics. 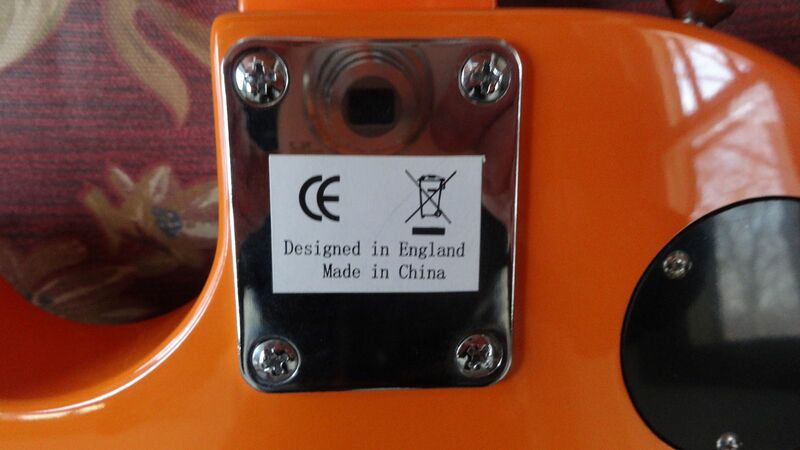 "Designed in England to look like as American as possible, then sent to China to be made." 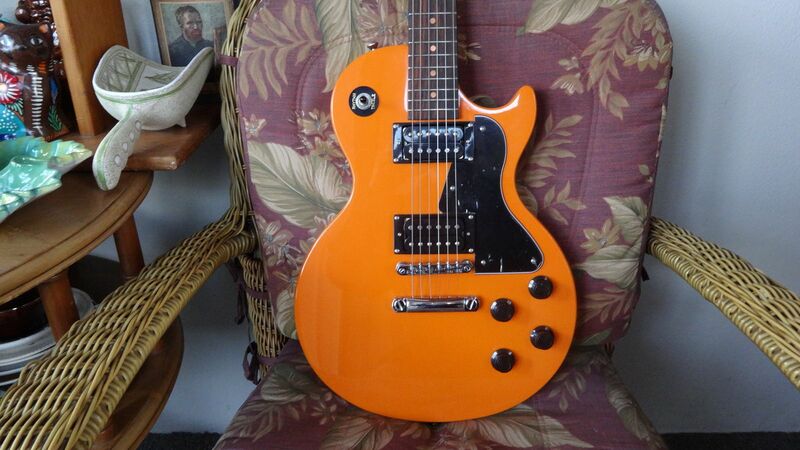 I took it back mostly because I saw The Les Paul when I picked it up. 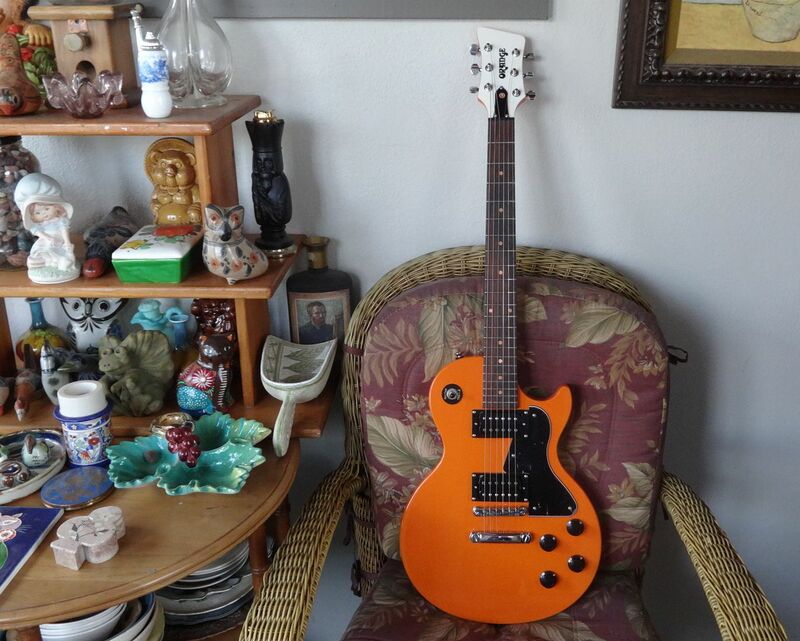 It has been on my "want list" since 2011 .I got a full refund including the shipping charges for the Orange($112) plus I had a $20 GC promotional gift certificate I was going to use for for that guitar(to bring the price down from $85 to $65) and applied that towards the purchase of the Les Paul.